Everyone’s favorite real-time strategy game is getting a face-lift. 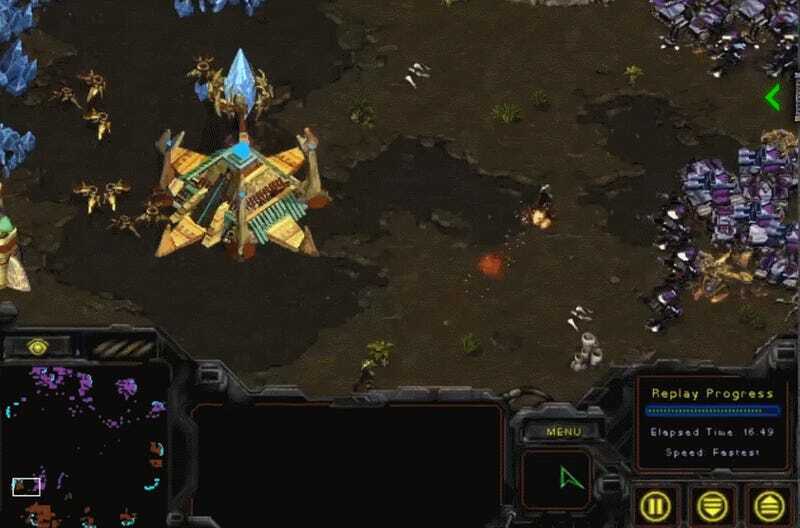 As Blizzard president Mike Morhaime announced at this weekend’s I <3 StarCraft event in South Korea, the original game and its Brood War expansion are both getting an HD overhaul and being repackaged as StarCraft: Remastered, due out later this summer. The new version will be in 4K and include refreshed audio. More importantly, it will also be supported by the company’s Blizzard App (formerly Battle.net), meaning you can easily launch the game from the same PC client you use to play Overwatch and Hearthstone. This will provide players with matchmaking that takes their skill and preferred race into consideration, helping to streamline the process of finding people to play with online. Blizzard swears it isn’t tinkering with any of the gameplay, however. While the new version will facilitate zooming in and out of the field of play in more detail and include some fresh narrative interludes for the single-player campaign, Morhaime promised the original balance of the game would be preserved. As for the old versions, StarCraft and Brood War will both be free to download once patch 1.18 is rolled out at the end of this month. The first update to the game in eight years shouldn’t change much beyond fixing a few bugs since both StarCraft and StarCraft: Remastered will be compatible with one another in terms of save data and online play. While the game is expected to come out in later this year, a price for the remastered package wasn’t revealed at the 1 <3 StarCraft event, a mini-tournament between some of the game’s best players being held to honor the game’s legacy. Rumors of a remastered StarCraft first began last year after a South Korean news outlet reported that the project was in the works. The original game helped revolutionize the real-time strategy genre, hitting level of quality and balance that helped set it apart from contemporaries like Total Annihilation and Age of Empires, as well as Blizzard’s own Warcraft series. It went on to take South Korea in particular by storm, coming the closest to a national pastime as any video game ever has.